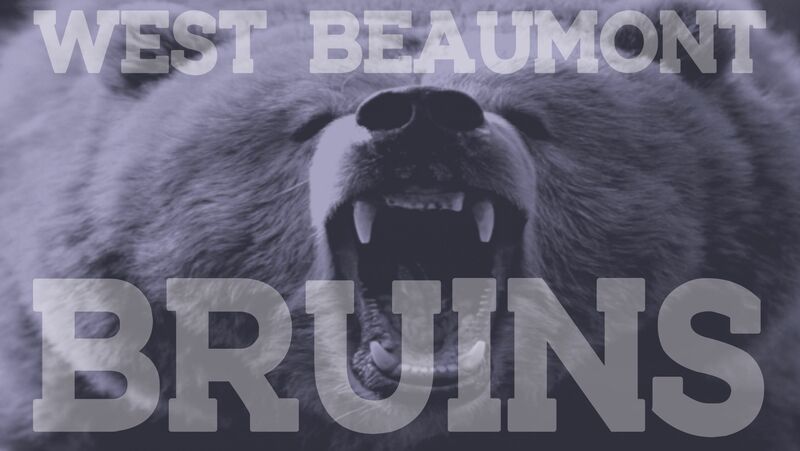 2019 WEST BEAUMONT BRUINS SEASON IS OFFICIALLY HERE! 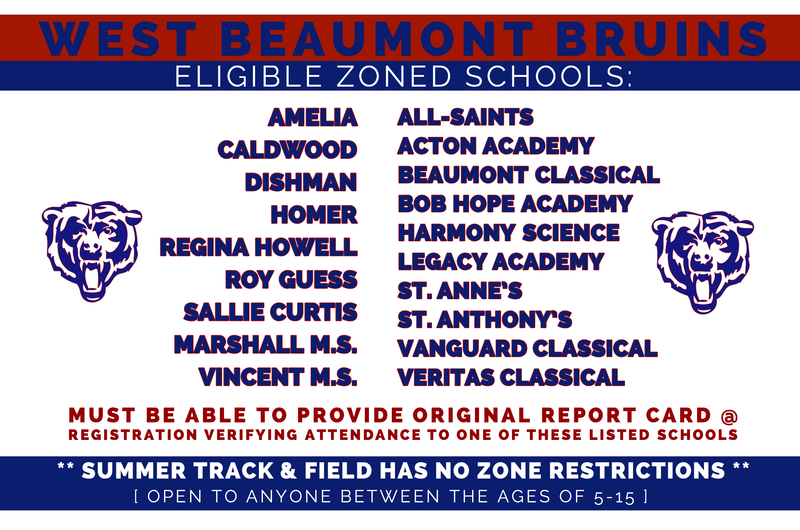 Our association offers flag football, tackle football, cheerleading, and summer track & field sports. 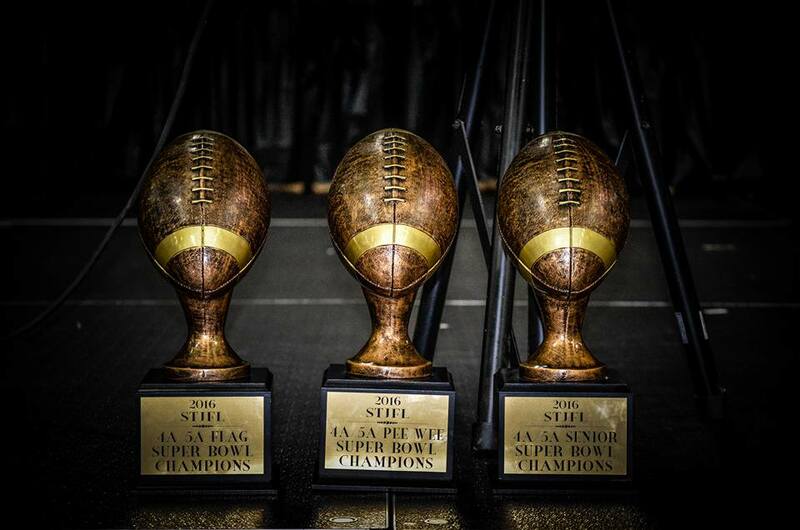 We strive to better our athletes, teaching them the value of dedication and persistence, both on and off the field. WBBIFL focuses on the fundamental importance of teamwork and leadership, safety and respect, and hardwork. INTERESTED IN BECOMING A 2019 WBBIFL CORPORATE SPONSOR? $10 BACKGROUND CHECK FEE CHEER / FLAG DIV. / TACKLE DIV. 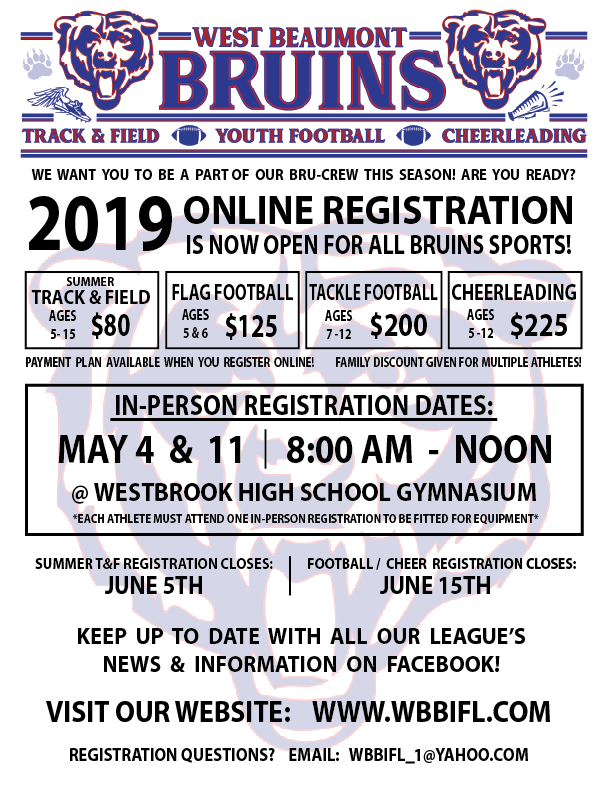 © 2001 - 2019 West Beaumont Bruins Intermediate Football League. All Rights Reserved. 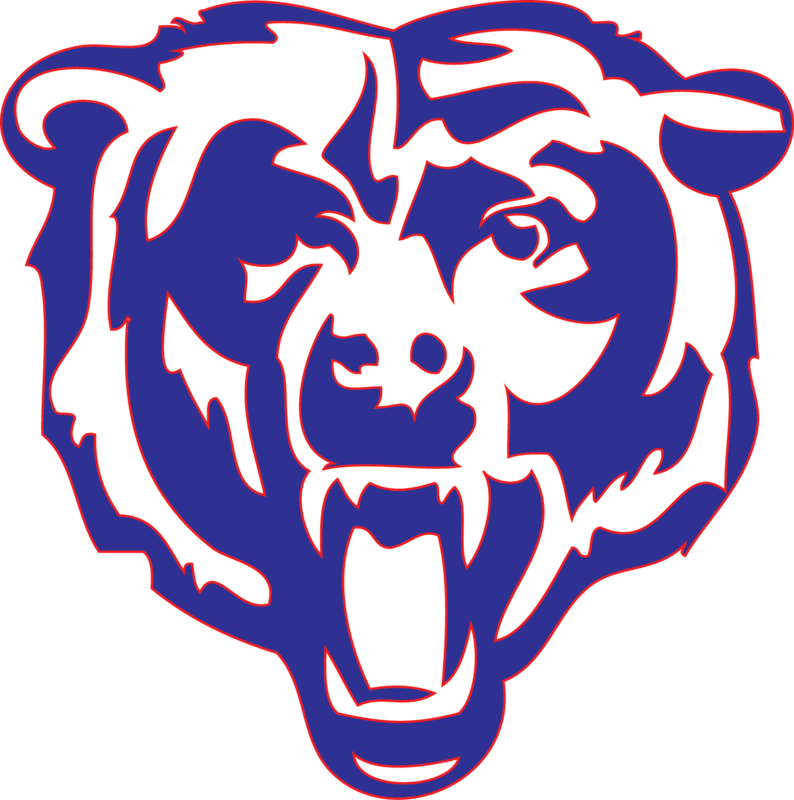 Copyright © 2012 West Beaumont Bulldogs Intermediate Football League, Inc. All rights reserved.